Did I mention yesterday how much I love Valentine’s Day? I’ve been eyeing lots of cute little Valentine’s Day-inspired gifts lately, from trinkets for your girlfriends to a few little gifts I wouldn’t mind myself (yes, I mean you, you darling little gem locket!). Who’s your Valentine’s Day gift list? Need some more Valentine’s Day inspiration? Follow my Pinterest board here. 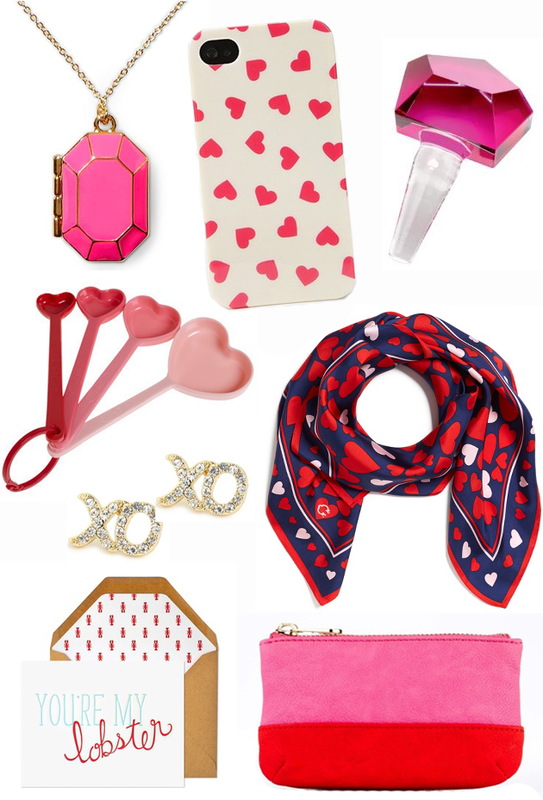 Sources: Locket, iPhone case, bottle stopper, scarf, clutch, card, earrings, measuring spoons. 3 Responses to "Valentine’s Day Gift Guide."